In the lands of Eyvingling, expansion continues at a feverish pace. Masons and workers of all stripes work day and night, establishing the infrastructure in various towns that will be required for this new and burgeoning Kingdom to prosper. Some clans have already fallen victim to the wilds, overcome by the rawness of this new land and the hostile forces that call it home. Fortunately, there are many that have gained a solid foothold, led by strong-willed Chieftains who will simply not tolerate defeat of any kind. 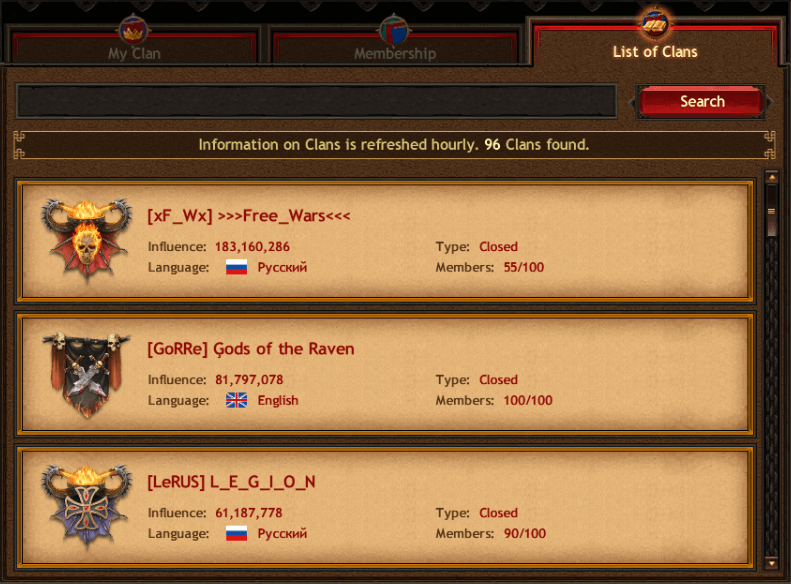 One of these clans that will not tolerate defeat are the Gods of the Raven clan, led by a valiant Chieftain who currently controls the Place of Power, ruling over the Jarls of the realm with an iron fist and exacting taxes of silver. 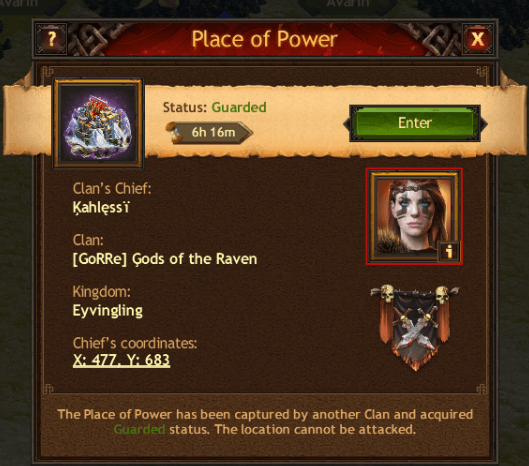 As can be seen above, the Gods of the Raven are the current rulers of this new Kingdom, although this is something that could change at any minute as new clans rise daily, anxious to climb the ranks of power themselves. This will be a hard challenge to live up to, as other clans will be more than happy to try and prove them wrong—although this has yet to manifest itself, as the Gods of the Raven continue to dominate any challengers that rise up against them. 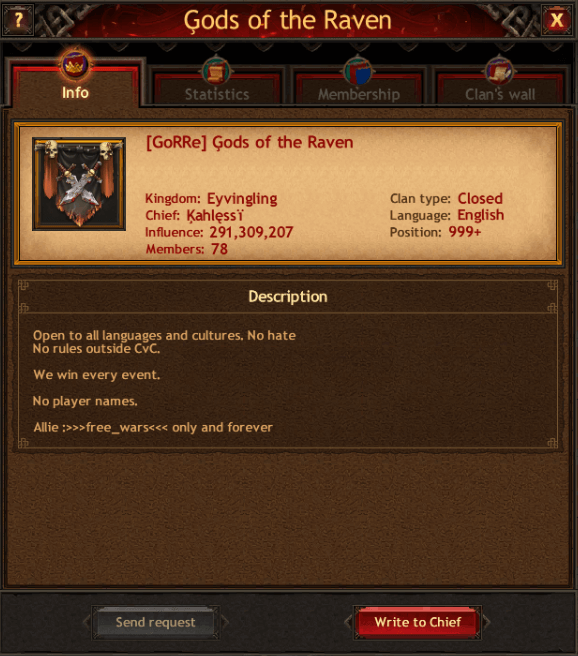 In fact, the entire Kingdom of Eyvingling has proven that they are more than capable of participating and ranking highly in global events, which is exactly what we witnessed in the recent "Fighting Invaders" event, in which a citizen of Eyvingling took the second-place position. Quite a remarkable achievement given how young this realm is. Now, as the dust begins to settle and certain clans begin to assert their power over others, diplomacy will be more important than ever if this realm is to rise to true greatness. Challenging events lie in their near future, and other neighboring Kingdoms will be licking their lips at a chance to attack and steal their valuable resources in the upcoming Kingdom vs Kingdom event. 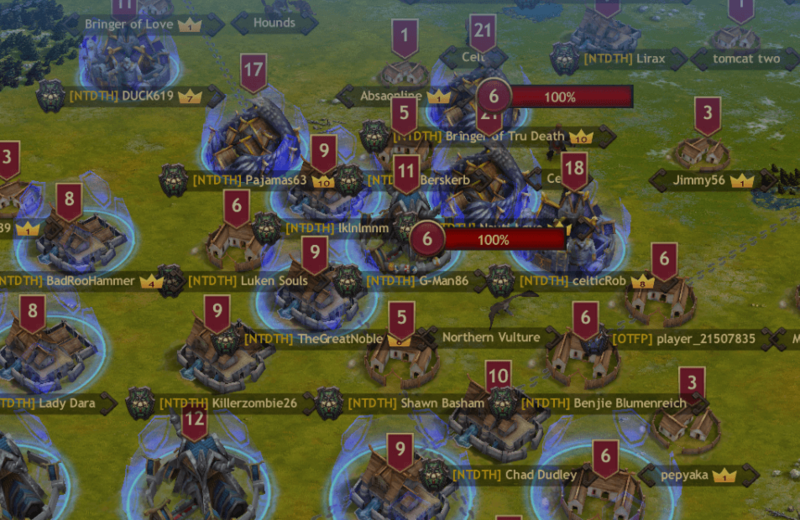 In preparation for the carnage, clans have begun to form their hives, hoping to gain strength in numbers and thus a greater sense of security for themselves and their fellow members. Will Eyvingling be able to resist the hostile powers, will they be able to come together and unite as one to repel their opposition? We shall see, but one thing is certain: time is running short and the day is soon approaching where they will be put to the test.